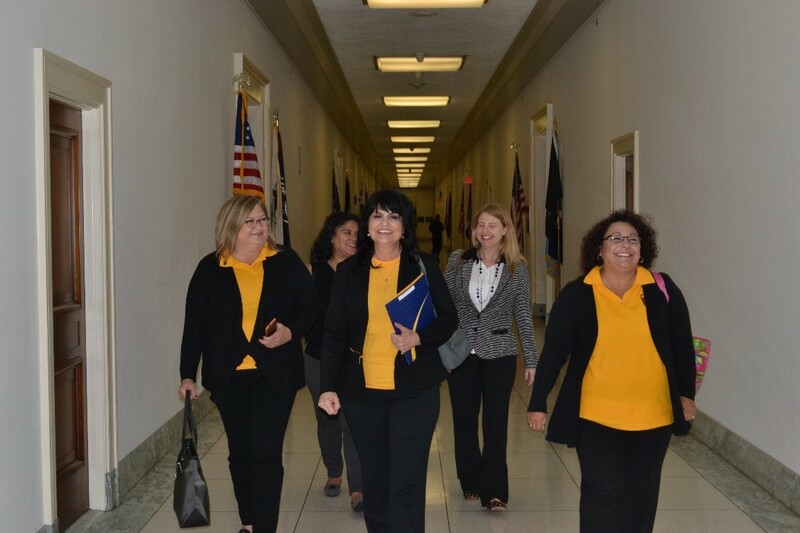 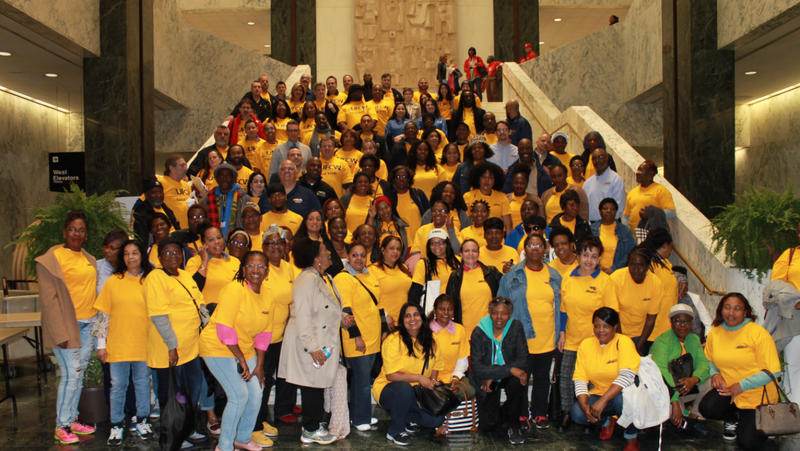 On May 9, 175 members and staff from UFCW Locals 1, 342, 464A, 888, 2013, 1262, 1500 and RWDSU/UFCW Local 338 met with state legislators in Albany, N.Y., regarding bargaining rights, the importance of upholding the state’s constitution, and fair scheduling. 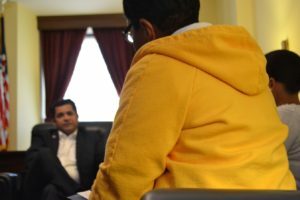 They talked to elected officials about the potential harm of having a state constitutional convention, and explained that opening up the constitution to a small group of wealthy influencers could lead to the elimination of bargaining rights and multiple other protections in place for our membership. They also lobbied on behalf of fair scheduling bills (S-71 and A-1518) that would stabilize schedules for working families across New York state, and talked about the negative impact irregular scheduling has on people’s everyday lives.